Jingle bells are almost ringing again. This festive season, Emergency Services Foundation (ESF) is proud to introduce Ashley, our first edition collectable bear, in tribute to Victoria’s firefighters and emergency services workers. Ashley Bear is the Foundation’s main fundraising project this year and we need your support to help us help those helping your communities. The Emergency Services Foundation was formed in the wake of the 1983 Ash Wednesday fires to give the Victorian community a mechanism to support emergency services workers injured or killed in the line of duty. Ashley stands at an overall height of 45cm and dressed in the Lancer-style uniform with double-breasted tunic, trousers and replica brass helmet. The belt is equipped with precise replicas of the fireman’s axe and turn key of the period. The tunic has one red collar and the other yellow that recognises to roles of both the MFB & CFA at that time. The number “83” is embroidered on the tunic in memory of the Ash Wednesday Bushfires. He’ll look beautiful under your tree and would make a wonderful Christmas gift. 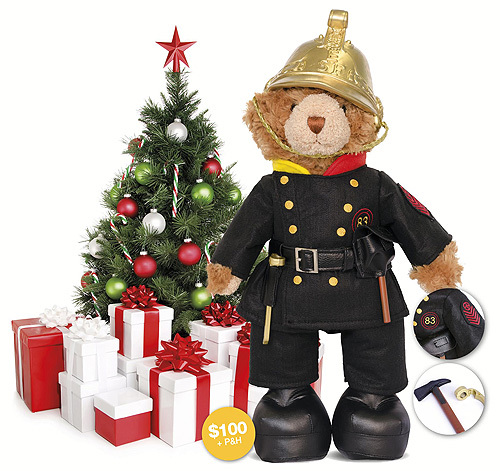 Limited to just 4,000 units, this fire fighting bear will be keenly sought by collectors and firefighters worldwide! Ashley has been manufactured to exacting standards, is fitted with a numbered certificate of authenticity and supplied in a presentation box, highlighting the history of firefighting in Victoria. Cost of each limited edition bear is $100 + $9 postage & handling per unit. *Please expect and allow a minimum of 10 working days for delivery time with Standard Australia Post. To avoid disappointment, please order before December 7th for Christmas orders. or contact Jenny on 0406 003 765 or bears@esf.com.au if you have further questions about Ashley the Fire Services Bear. Don’t want to buy a bear but still want to support ESF? 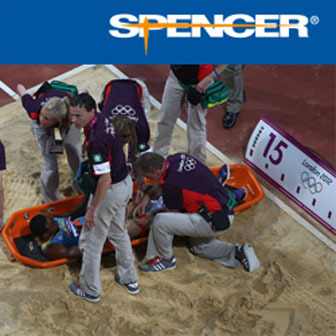 You can donate directly to the Emergency Services Foundation. Alternatively donations can be simply made directly into the following bank account.